Ultimus is one of the most experienced providers of finance and accounting workflow automation solutions and technology. We have implemented over 600 business process software solutions in this functional area – on every continent, in every industry vertical, and in all major languages. Operating at the speed of digital is an imperative for every company and every department – and finance is no exception. Add the additional demands for accurate and timely expense management and financial reporting, transparency, compliance, and visibility and it’s clear that today’s approaches – adapting your business and processes to fit off-the-shelf SaaS applications, bespoke development, and one-off customization – only increase complexity and cost and block digital transformation. 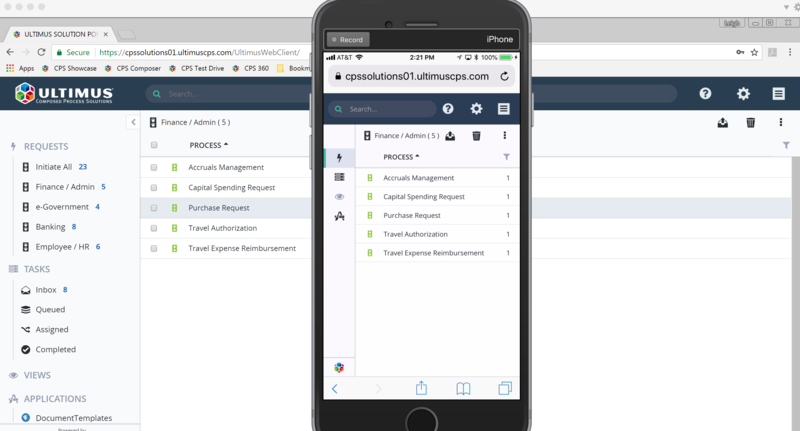 Ultimus has another answer: end-to-end automation of financial processes using Ultimus’ proven, industry-leading Digital Automation Platform and the exceptional domain experience of Ultimus Enterprise Solutions services. A combination that ensures unmatched speed of delivery, reliability, performance, cost effectiveness, and support. Processes automated with Ultimus Composed Process Solutions are “solution families” – they work, share data inherently, and can be managed as if they were one large application. Join the growing list of companies that have entrusted Ultimus with their mission-critical financial process automation - entities such as Boehringer-Ingelheim, Children’s Medical Center of Dallas, Ensign Services, Mettler-Toledo, Prince William County Virginia, Sanofi-Aventis, State Street Corporation, and Toshiba. Describe your finance and accounting business challenge and we’ll compose a working proof-of-concept – tailored to your exact requirements – for free! Stop developing and start delivering.